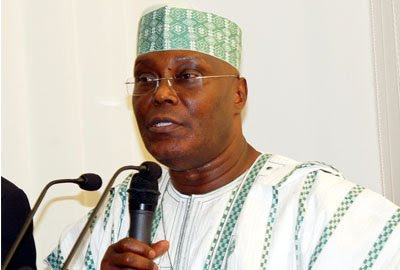 Former Vice President Atiku Abubakar has been appointed President of the Federal Republic of Nigeria. Speaking in an interview with THISDAY, the presidential candidate expresses its readiness to sign an undertaking to the effect. Insisting that he would keep his promise to spend only a tenure in office, Atiku said: "My own case will be different. "I have said this before on my own initiative.I believe in it.If I am elected as President in 2019, I give an undertaking that I would only do one term. "Having said that, let me remind you that Buhari also gave such an undertaking in 2011, but it is not living up to it today. "I am not Muhammadu Buhari." I do not make promises "I am not keeping." I am assuring Nigerians that I will keep this promise. "I am willing to sign a document" If you or any other Nigerian can come up with an iron-clad legal document that binds me, I am willing to commit to it. "